How many times have you gotten to a restaurant, seen the line or the wait time, and gone somewhere else? Losing customers because of lengthy waits may be, in some cases, inevitable, and sometimes a little less pressure during a busy service helps, but that doesn’t make it sting any less. And while technology may not solve the problem of impatient diners, it certainly offers a compelling way to mitigate lost business. 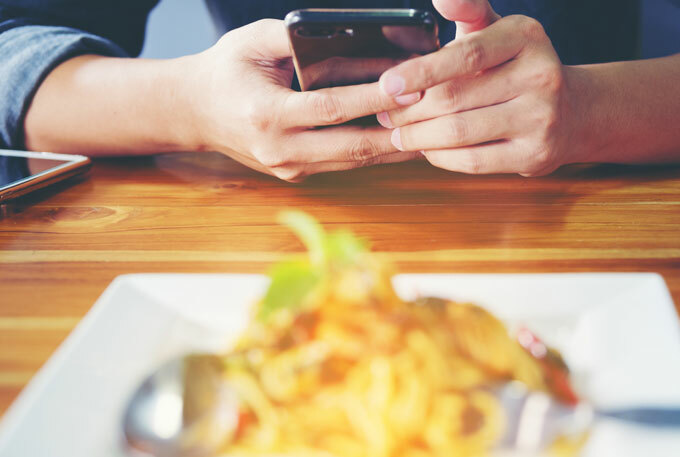 Some restaurants have begun to implement digital queues, where customers can check in at the restaurant or even ahead of their arrival, then get a notification via text or email when their table is ready. Usually provided by a third party technology service, digital queues help restaurants and customers get a better idea of wait times, and let customers feel more secure with their place in line and therefore more willing to wait. 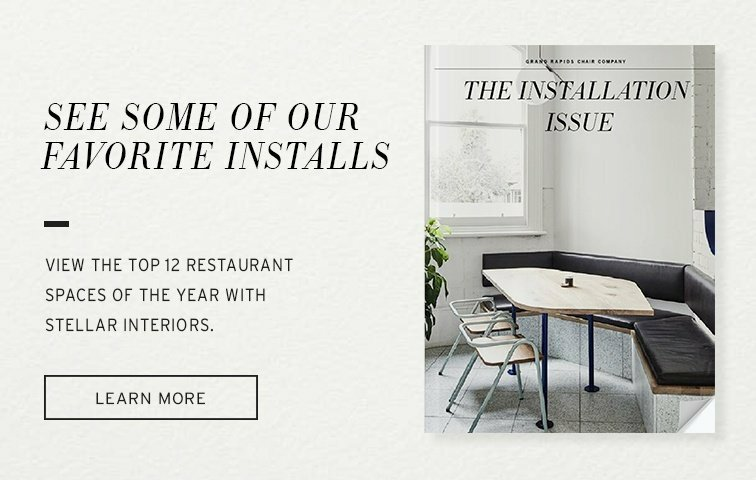 In OpenTable’s 2017 Technology & Dining report, 80% of respondents said that they’d like to know the wait time for a table before arriving at the restaurant. So, not only does a better waiting system help customers make informed decisions on where to eat, it also allows restaurants to keep their seats full and their customers happy. Today, being out without your phone is much scarier than it was ten years ago. We have come to rely on mobile devices not just for communication, but also entertainment, navigation, and information. So, it’s not surprising that public spaces such as shopping malls, parks, and cafes have begun to incorporate charging stations and open outlets where visitors can plug in. And while you may not want your dining companion to be involved with their phone while you’re eating, providing power to restaurant customers is something to consider. This year, 2018, is the year that millennials take up the lion’s share of buying power in the US, and they eat out a lot: as many as five times per week, by some estimates. They’re looking for experiences that play into their needs - namely, convenience, connectivity, and creativity. What does this mean for restaurants? Well, it depends. Patrons of fine dining aren’t expecting an outlet under the table, but for cafes, casuals, and QSRs, a communal table with built-in power or a laptop bar could go a long way in welcoming connected customers to stay. At the end of 2016, online retailer Amazon announced their plans to open “the future of grocery shopping” with Amazon Go, a brick-and-mortar store that would allow shoppers to log in, grab their items, and walk out the door, all without ever standing in a line or interacting with a cashier. They would then be charged for the items they purchased via their Amazon Go account - with their movements, favorite items, and basket total tracked with an array of cameras and sensors in the store. This concept, now open to the public, caused an uproar in the retail industry as leaders wondered if the age of automation had already arrived - and it does beg the question, is mobile payment the future of purchasing? From mobile banking to Venmo to Apple Pay, many people are now using their phones to manage their finances and make purchases, and restaurants are starting to embrace this trend. Of course, online ordering and takeout have made payments from a personal device a mainstay of the food service industry, but Starbucks’ recent mobile ordering functionality has brought mobile payment to the forefront in tech trends to watch for. Industry thought leaders have begun to speculate about dining experiences where diners don’t have to wait for the check. Instead, once they’re done with their meal, they simply pay on their phones and leave. While reduced interaction in restaurants may leave some shaking their heads, rising technologies are creating a greater demand for convenience, and no business wants to get left behind. Social media influencers have largely replaced traditional restaurant critique and review, meaning big changes in the way that restaurants design their spaces and menus. With a few well-framed photos and under 280 characters of praise, influencers simultaneously advertise their personal brand and yours to hundreds or thousands of followers. Instagram currently leads as the food and lifestyle platform of choice, though bloggers have plenty of influence, and platform crossover always occurs. Because of this, restaurants are placing ever-greater emphasis on aesthetic and trendy design, as well as photogenic food offerings. Making it easy to snap a compelling picture means advertising that’s practically free - who could say no to that? To learn more about what makes a restaurant Insta-worthy, check out our interviews with influencers here and here. Technology has changed how we interact with the world, and restaurant spaces are no exception. As our society becomes more connected, it’s important to stay on top of demands for the convenience of tech integration - from customer experience down to the very design of the restaurant.